Gleb Kanunnikau is a designer and trainer based in Minsk. He is part of a group of volunteers running a meetup group and an open laboratory bringing together people from the tech and education/media and experimental, hackerspace scene trying to solve a few very local and very practical problems that don’t seem to be getting a lot of attention from the tech community. 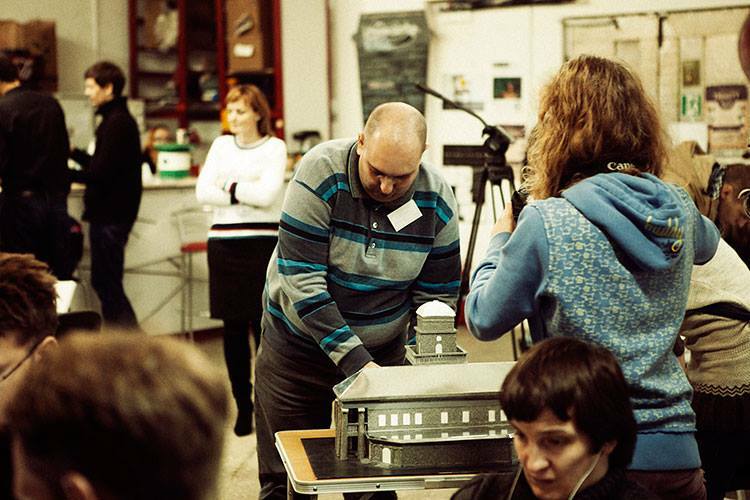 Their initiative is focused on providing educational tools for children and adults with vision disabilities and is organized as an open laboratory with contribution from Minsk hackerspace (the first in Belarus), Belarusian meetup.by community, and monogroup.by – community of architects and visual artists. 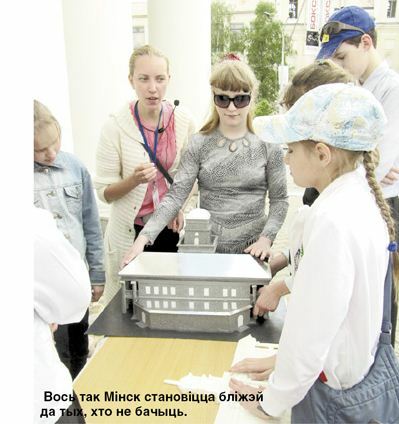 The problem is that schools for the visually impaired aren’t getting new books with Braille type and the education system for these kids is stuck in the 1970s, only now it is much worse (at least in the USSR there were factories and employment options for these people, as well as city districts with disabilities-friendly housing). They are the forgotten, invisible people – no textbooks means there are few people able to read Braille books – and they just can’t leave their apartments nor get education or a job. Luckily, Ludmila Skradal, who works with these children on a regular basis as a tour guide and a teacher, had met a few architects, as well as people from the first Belrusian hackerspace and we’ve organized a hackathon a year ago. We are building the first tactile museum exhibition for these children (but also for adults) on history/ethnography/architecture. This is a sound/tactile installation that uses technology but isn’t tech-centric and solves a practical problem. We are combining hand-built architectural plastic models of buildings and elements printed with a 3d printer (open source mendel prusa, with Arduino inside) for small-scale columns and ornaments etc. The models serve as instructional materials and partly substitute for the missing handbooks on history and culture that the children in schools for the visually impaired are not receiving currently. The kids say that these architecture lessons were the first time they’ve been able to even imagine what buildings in cities “look like” above ground level. Things that were outside of their reach, like the clock tower on the city hall building, rooftops, column capitals were suddenly accessible – they were invited to touch the real city hall walls during the field trip to feel their texture and then they explored the model, and hearing the sound of the real city hall clock they examined it in the model. The current goal is to build a museum exhibition unified by narrative and allowing self-exploration within the space, using Arduino for controlling the exhibits. 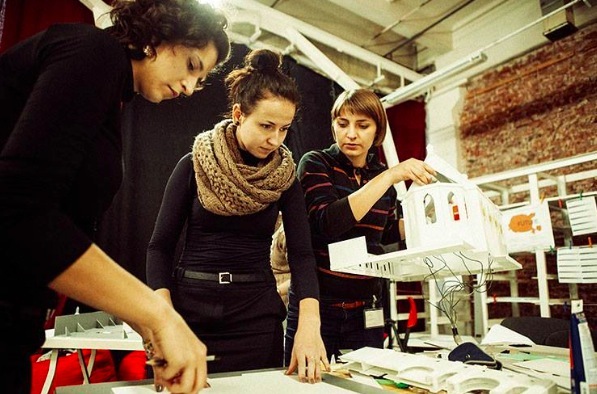 We hope that 3d printed objects could work as handbooks on history, culture, art. Maybe we’ll even print DNA segments that can be combined as like lego puzzles – so that kids can try to put together a DNA chain out of aminoacid plastic blocks to understand how the spiral of amino-acids looks like. There are many possibilities. If you want to get in touch and know more about their project, visit the website.